How to create a Lesson using the Click to reveal Images Component? When you use this component, you can place 2 images in circular borders. 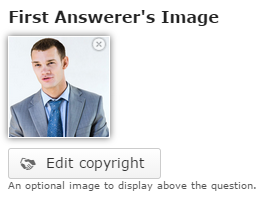 When user clicks any of these images, they will see the person’s question on the right side of the image along with another person’s image and answer for the question. You can use this component to create pages where you want to present two important questions in your lessons with tiny images in an interactive manner. Since the questions and answers are revealed when the relevant image is clicked, the students can easily understand and memorize the contents. The description text is provided on the top of the page. The user clicks on an image to reveal the related question and relevant answer. Feedback for the answer is displayed in a grey area below the answer. Click another image to reveal the related question, answer and feedback. You can add feedbacks at the bottom for each question and answer. Then click on the Click to reveal Images component icon as shown in the above image. You will see a screen similar to the image shown below. 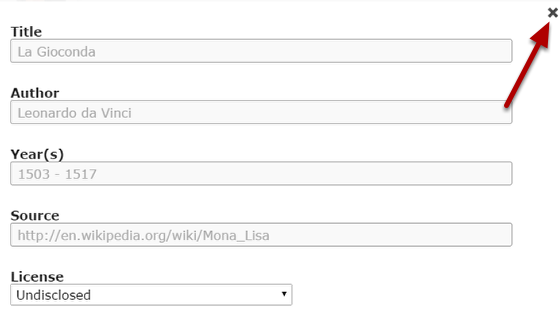 Add the description text or contents on the Description  fields. These contents will appear on the top of the images. 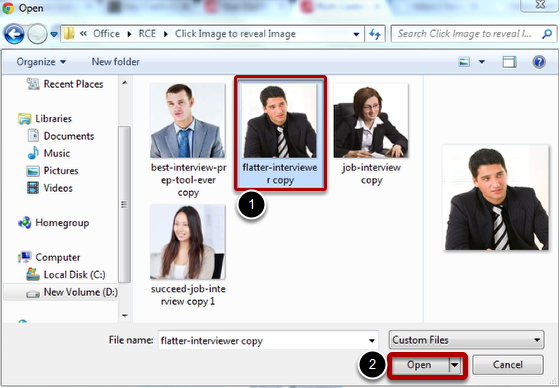 Add First Questioner's Image  which will appear in circular border. Add the first question in the First Question  field. Add First Answerer's Image  which will appear in circular border. Add the first answer in the First Answer  field. Add the feedback for the first question and answer in the First Feedback  field. Add the Second Questioner's Image, Second Answerer's Image, Second Question, Second Answer and Second Feedback  in the respective fields in the same way. Save the changes by clicking the Done  button. Click the Remove  button to remove this component from the page. Just type the contents of the page in the Description field as shown in the above image. You can also change the format of the text, add and remove hyperlinks and insert horizontal lines between the contents. 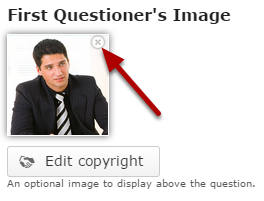 Click on the '+' button under the First Questioner's Image title shown above. You will get a screen similar to the one shown in the below image. Once the image has been uploaded, it will be shown under the First Questioner's Image title as shown  in the below image. 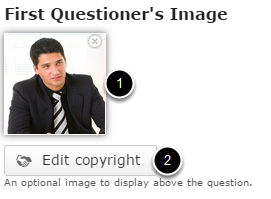 In the First Question field, add the first question text which should appear when the user clicks on the first questioner’s image. This field is mandatory as well. You can also change the format of the text, add and remove hyperlinks and insert horizontal lines between the contents. Repeat step 5 to add the image to the First Answerer’s Image field. After adding the image, you can see the first Answerer's image shown above. 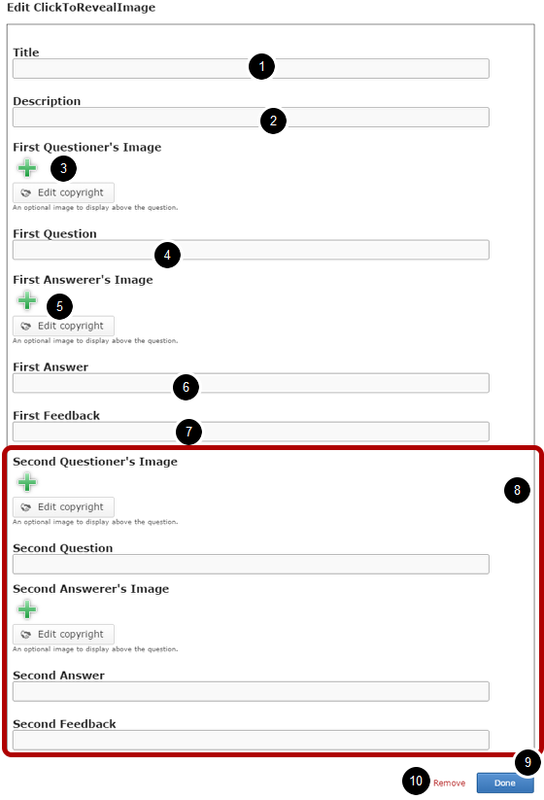 Repeat the steps from 5 to 8 to add Second Questioner's Image, Second Question, Second Answer and Second Feedback fields. After adding all the details, you can see the page as show above. You can see the finished page as shown in the above image. You can add as many pages as possible using this component in a Presentation. You can exactly have only 2 questions on a page, and these questions, answers and feedback fields are mandatory.